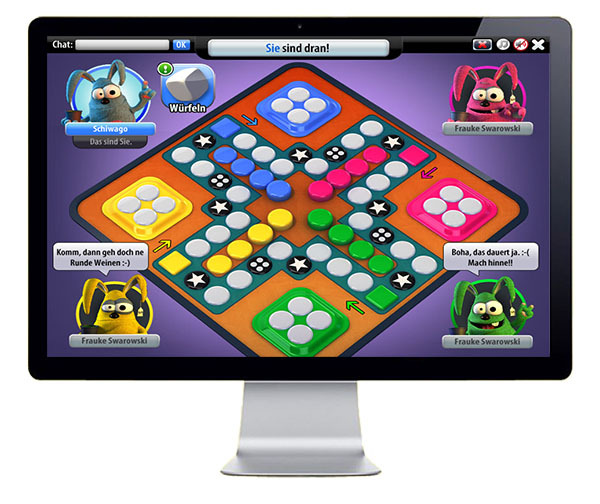 The goal of the game is to move your 4 game pieces all the way around the board until they reach “home” again. In the event that no one is able to do this before time is up, the winner is the person who scores the most points before the game ends. On your turn, roll the dice to determine how many spaces your game piece can move forward at once. If you land on another player’s game piece, you will force them back to home, where they’ll have to start all over. But other players can easily do the same to you--so stay alert and don’t get angry when the other rabbits kick you out!